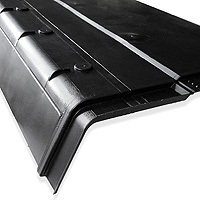 Product information "2-in-1 Vented Eaves Protector Felt Support Tray"
Roof felt support and eaves ventilation! Felt support tray with integrated 10mm over fascia eaves vent for continuous eaves ventilation. So, there is no need for extra eaves ventilation. This cost effective combination of tray and integrated vent prevents sagging of overlapping sarking felt and encourages natural airflow in the roof space. Prevents ponding of water and condensation, results in the breakdown of roof membrane, fascia and timber rafters. 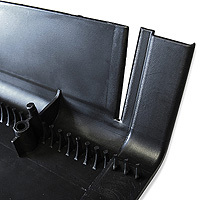 Using the 2-in-1 Vented Eaves Protector, there is no need for additional vents. The interlocking trays are nailed directly to the top of the fascia board with the short edge hanging over the gutter. The tray features stop beads that make positioning the tray a sinch and nail collars to simplify fixing. 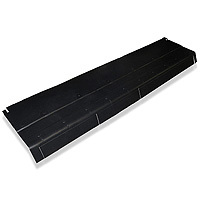 Related links to "2-in-1 Vented Eaves Protector Felt Support Tray"
Customer review for "2-in-1 Vented Eaves Protector Felt Support Tray"